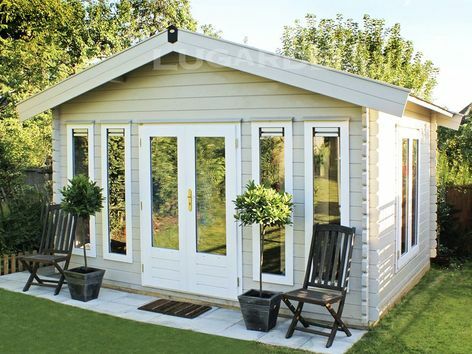 The Lugarde Lennon is an attractive log cabin, ideal as a summerhouse or studio. Its many large windows make it a light and airy space and it is a good generous size for all kinds of uses. 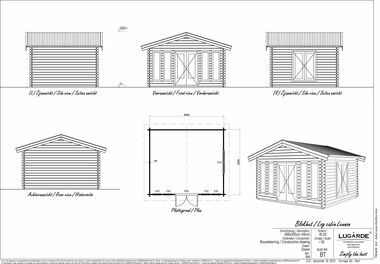 Size approximately 4m x 3.5m in 44mm log thickness. The standard package includes 1 x PE45 double door, 4 x PJ07 tall windows and 1 x PE44 window. 24mm double glazing is standard.